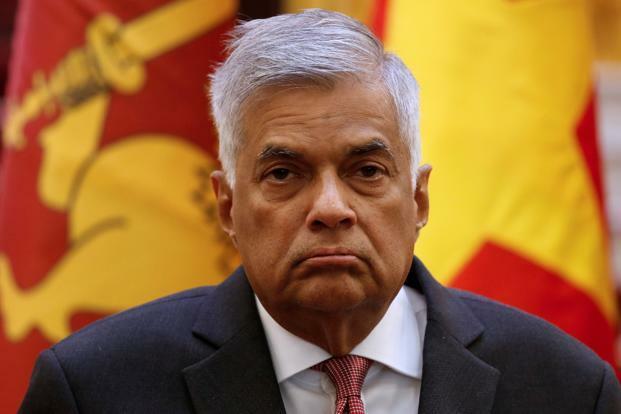 There is no denying the surprise element in the timing of the unsettling ‘power-transfer’ in Colombo, which however was waiting to happen for too long that the nation had begun getting tired and bored about media speculation of the past year and more. Even more surprising in the coalition saga of the ‘Government of National Unity’ (?) was that it survived thus far, given the inherent complexities that were sought to be glossed over since inception. By hindsight, no great political strategist fashioned the coalition. Instead, petty tacticians, living by the hour and for the hour, seemed to have put together pieces of multi-coloured pieces of modelling clay and called the end-product a democratic toy par excellence. At the end of it, like every toy and every clay-model, an ‘unholy alliance’ has now come unstuck – nothing more, nothing less, on that score. The Sirisena-Wickremesinghe coalition, or more precisely, the UPFA-UNP arrangement, had everything going against it even before the word, ‘go’. At a personal-level, both President Maithripala Sirisena and prospective Prime Minister Ranil Wickremesinghe were/are ambitious individuals. The latter has displayed it at every turn over the past decades. The former hid it all along, having become tired of being the number two, three or four, for long. Sirisena’s past masters, namely, Presidents Chandrika Bandaranaike Kumaratunga and Percy Mahinda Rajapaksa, were cut out from two other different pieces of cloth. CBK was an unconfused but indecisive leader – or, that was the kind of impression she allowed to be created about her. Mahinda R was/is an ambitious leader who did not hide his ambitions. Sirisena presented a picture of both, and worse, for an adversary-in-the-making to position him for target-practice. Coming as it does after Wickremesinghe’s ‘cohabitation experiment’ with President CBK in the previous decade, the current ‘coalition’ experience’ was the next inevitable step, but for wrong reasons and in the wrong direction. There again, the mortality of the coalition was written into the script even before anyone took out a pen and paper to write it all down. In terms of the parties that they led, the ideological-divide between Wickremesinghe’s UNP and Sirisena-led SLFP leader of the UPFA, was for real and still remained. Independent of the personality differences and purported political ambitions, the founders of the SLFP were able to project a deep-seated ideological distinction from the UNP parent — which in turn had fathered the nation’s Independence — when they parted ways in the early fifties. Despite ‘national consensus’ on a host of issues, including aspects of economic policy and foreign relations, their domestic constituencies remained separated at birth – and have remained so, to date. So, even whatever they believed, the respective leaderships could not push for reforming their own ways in terms of domestic politics and policies, because they had tied themselves down to the apron-strings of their respective constituencies, not the other way round. If at the end of it, the coalition was born even before it had won an election, it owed to a ‘one-point agenda’ that each one of them pursued ahead of the historic presidential polls of 2015. ‘Historic’ it was, as this was the first one of the kind in the country that saw the incumbent Executive President, Mahinda R in this case, contesting and losing the elections. JR and CBK, who had completed the maximum-mandated two terms in office contested and won a re-election. So did Rajapaksa, but not when he amended the Constitution to try and have a second, third and possibly eternal terms. JR’s successor, Premadasa, Sr, could not complete the first term after the LTTE’s ‘May Day’ assassination. In wanting MR out, Wickremesinghe and his UNP wanted to return to power, even if by the back-door. They had not enjoyed presidential power for two decades. The minority Tamil and Muslim communities and their parties that made it possible only wanted the Rajapaksas out. They did not care who replaced Mahinda at the time. The Tamils thus voted for war-time army chief, Sarath Fonseka, in post-war 2010 and war-end Acting Defence Minister Sirisena, five years hence – both against war-time President Mahinda R. The Muslims joined in, in 2015, but for their own reasons of what they believed was State-backed harassment of the community, by Sinhala-nationalist hard-liners in the form of the Bodu Bala Sena (BBS). There was an outsider-party in the form of the ‘international community’ (read: West), which wanted Mahinda out, for more reasons than one. They identified Mahinda with China, and vice versa, hence he had to go. They had ‘war-crimes probe’ and ‘accountability issues’ hanging over Mahinda’s head post-war, something that helped consolidate the crucial ‘Sri Lankan Tamils’ vote against him. It was a one-point agenda of the kind that LTTE’s Prabhakaran had used to stay on the top of the Tamil heap, and at the top of the Government and the armed forces, through his terror-tactics and by waging war on the Sri Lankan State. But once he signed the cease-fire accord with then PM Wickremesinghe, the unholy Tamil alliance between the moderates and militants had to begin collapsing. ‘Col Karuna’, or Vinayagamoorthy Muralitharan, and other ‘lesser Tamils’ from the East, with their inherent differences with the ‘Jaffna/Northern’ leaderships of the community and polity, then in the hands of the LTTE, had to part ways. The rest, as they say, is history. So has it been with regard to the nation’s larger polity when it came to politics after Mahinda’s defeat. PM Wickremesinghe played out the same tactic in getting the well-entrenched Rajapaksas ousted by playing the ‘Karuna card’, by plucking out Sirisena and a few others, from the Mahinda camp ahead of Elections-2015. He also succeeded in the mission the same way, as with weakening the LTTE. But to end the democracy game, here again he needed the Rajapaksas to take the lead, as with the elimination of the LTTE. The comparison may sound odd, but that is also how the limited tactic, hence the real picture, pan out. With his controversial back-door entry, as against his straight-forward electoral approach from the past, to capturing power, Mahinda R may have made even his staunched supporters from among the majority Sinhala community, feel uncomfortable, if not worse. Through the ten years in office, his was a massive picture of self-confidence at its height. Even when he lost Elections-2015, his supporters adored him, as if he had lost a principled battle, fought by the others in an unprincipled way – and, not also the war. Today, they cannot hope so anymore about the way Mahinda R has ‘returned to power’. They would have been happier and even more confident if and if only their ‘Mahinda ayyah’, or ‘elder brother’ in Sinhala, had taken the royal, electoral road, back to power, not on a Friday evening, when most of urban and urbanised sections of Sri Lanka would have recessed into the unfailing ‘weekend’ mode and mood. Even when he had won his first presidential poll in 2005 with a wafer-thin majority, to his supporters at the very least, Mahinda had presented a picture of confidence. Through the past four years in the Opposition, again, Team Mahinda might have felt the pinch of losing power, pelf and perks, but his supporters did not mind, did not care. Even now, his conventional backers who account for a consistent and constant 45 per cent of the nation’s voters, most of them from ‘majority’ Sinhala-Buddhists, may root for him in the next elections, whenever and however it may come. But the ‘undecided voters’ who had backed him in 2005 and 2010, but voted against him in 2015, may have their ‘democracy conscience’ pricked, one more time, after what some of them may now consider his return as ‘Black Friday’ political coup. Tired of the coalition convulsions of the Sirisena-Wickremesinghe kind, the urban middle-class, of which there are more now than in 2005, were believed to be rooting towards the Rajapaksas all over again, looking in them a decisive leadership, whatever be their other minuses. Today, only elections would prove if they continue to think the same way as they were believed to have been over the past four years of the ‘GNU rule’. The ‘non-committed, undecided’ voters comprise more than the five per cent that the Rajapaksas’ candidate would require to reach the 50-percent mark in a presidential election. This is granting that Mahinda can freely ‘transfer’ his 45 per cent vote-share to any candidate of his choice, with choices from within the Rajapaksa clan becoming increasingly limited, owing to legal and other restrictions. Such a construct also implies that apart from the visible uncertainty that is engulfing the nation’s polity one more time, more than what it sought to replace, the coming weeks and months may be witness to an unsettling feeling among the people, too, at large. It is not necessarily that they are going to take to the streets. Far from that, possibly, as even the ubiquitous unions of State labour force and acerbic university students, may not know whom to shout for and whom to shout against – and what for, to begin with. This, most definitely, is going to have an unsettling effect, both on the immediate law and order front, and more so on the nation’s economy, much more than already. If anything, the unsure and unsteady approach of the Sirisena-Wickremesinghe Government to policing the nation and managing the economy were seen as the main cause for their politico-administrative differences, and got reflected even more in the same. There is no denying the ‘political coup’ that President Sirisena has effected through the overnight (or, over-day?) change of Prime Minister. There is also no denying the fact that the nation has a first-class constitutional crisis on hand. Given the letter and spirit of the Constitution, including the more recent and even more specific provisions of the Nineteenth Amendment that the Sirisena-Wickremesinghe duo put through on assuming office in 2015, there is no denying that the Sirisena-Rajapaksa duo may be on a relatively weaker wicket. Both sides have vowed to prove their parliamentary majority, which is at the same time impossible and illogical. If one wins, the other has to lose. For now, the minority parties that form a part of the Wickremesinghe-led UNP-UNF have vowed their continued support. Strange, however, have been their ways, as their leaderships have often awaken to the reality of rebellion from within the parliamentary group, and opposition from the cadres and community voters alike. But then, now that President Sirisena has prorogued Parliament at least until 16 November, there may be time for Team Wickremesinghe to move the Supreme Court, rather than tempt and/or attempt ‘horse-trading’, which can have an overall unsettling effect on the nation and the nation’s democracy and democratic institutions. The Judiciary could provide judicious answers to the nation, which is possibly the only real hope, just now!.